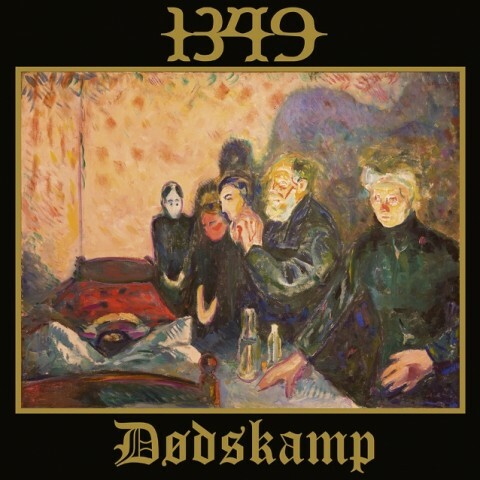 ​1349 release music interpretation of Edvard Munch’s artwork "Death Struggle"
Norwegian black metallers 1349 unveiled the new track "Dødskamp". The composition is a music interpretation of Edvard Munch’s artwork "Death Struggle" (1893). "Dødskamp" has been commissioned by Innovation Norway, Visit Norway and Munch Museum, who asked four Norwegian artists within four different genres of music to interpret their angle on a freely selected work by the famous painter Edvard Munch. The opening of the museum will be held in June 2020 in Oslo. The song "Dødskamp" will appear on the same-named EP which will come out on April 5, 2019 via Season Of Mist. The album is available for pre-order here.